JACKSONVILLE, Florida, June 26, 2012 (ENS) – Simba rebels known as Mai Mai Sunday attacked the Institute in Congo for the Conservation of Nature, ICCN, headquarters for the Okapi Wildlife Reserve in the Ituri Forest, killing at least five guards and five others. John Lukas, founder of the Okapi Conservation Project based in Jacksonville, says at least five guards were killed in the early morning attack near the village of Epulu in the northeast area of the Democratic Republic of Congo. Buildings were looted and destroyed. Fighting his way past the rebels, Gishlain Somba, conservator of the Okapi Wildlife Reserve, escaped and walked through the night to Mambassa. There, he is coordinating with the Congolese Army, which is deploying troops to the area, along with top rangers from Virunga National Park, lcoated some 200 miles to the south. The most recent intelligence from a fly-over has shown 10 burned bodies believed to be six guards and four others, who may be either civilians or staff from the conservation center. The okapi is the flagship species for one of the most biologically diverse spots on Earth, the Democratic Republic of Congo’s Ituri Rainforest. Today, there are about 10,000 to 20,000 okapi remaining in the wild. The Institute in Congo for the Conservation of Nature, ICCN, is the government agency of the Democratic Republic of Congo charged with the task of protecting the the wartorn country’s plants and animals. The ICCN again has had to withdraw staff from key positions along the battlefront until the bombing diminishes. “There was a significant advance by M23 militias who have all but taken the town of Bunagana and are getting dangerously close to shutting down the road to the large towns of Rutshuru and Kiwanja,” Emmanuel wrote. 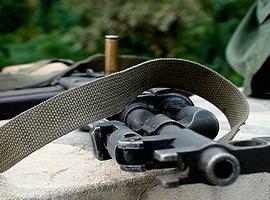 Several rangers were injured in attacks on patrol posts June 15 and 17. 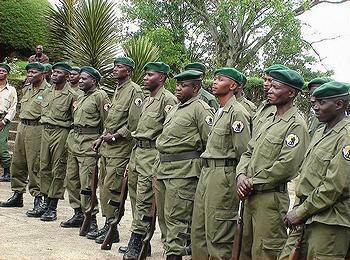 Over the last 20 years, more than 150 rangers have been killed protecting Virunga National Park. The Democratic Republic of Congo, formerly known as Zaire, and in colonial times as the Belgian Congo, is the size of Western Europe and contains more than half of Africa’s remaining rainforest. In 1992 the Okapi Wildlife Reserve was created to provide shelter to the okapi in its native habitat and safeguard the diversity of species found in the region. Established in 1987, the Okapi Conservation Project, with assistance from the international community, supports the Okapi Wildlife Reserve’s guards and provides health care and housing for them and their families. The OCP covers the costs of fuel, patrol rations, field and communication equipment, office supplies, training and infrastructure support. To make a donation to help the local people, rebuild the conservation station and provide assistance to the ICCN to continue to protect the wildlife of the Ituri Forest, visit http://www.okapiconservation.org/. 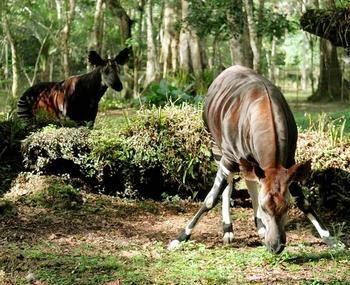 The OCP’s goal is “to conserve the okapi in the wild while preserving the cultural and biological dynamics of the ecosystem.” The organization operates programs in agro-forestry, conservation education, alternate livelihoods, and community assistance.